The Award-Winning Des Moines Arts Festival® (DMAF) is one of the nation’s most respected arts events in the country and hosted 180 of the nation’s top artists and over 200,000 patrons this past weekend. I was fortunate enough to be selected as one of the 10 award winners, receiving one of (3) Juror's Awards. Kathranne Knight, an award winning Iowa artist and juror for the festival, selected my work and shared her thoughts and excitement about my photography during the Festival Award Breakfast. CHICAGO, IL. (June 13, 2016) – Chicago is home to the #1 rated art showcase in the country, the Old Town Art Fair; an annual art exhibition, celebrating its 67th anniversary in the city’s historic Old Town Triangle District. 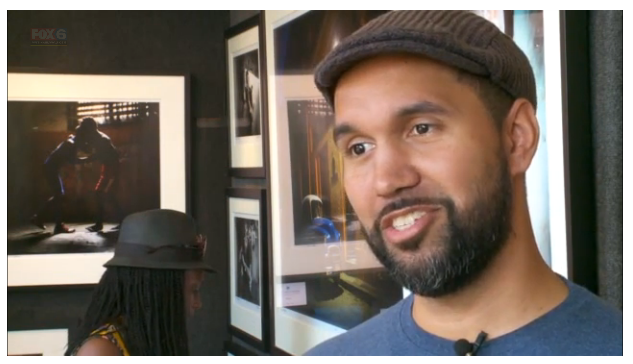 This year, Chicago native, Clifton Henri secured the top spot, Best in Show in the 2-D category which includes photography, painting, drawing, 2-D mixed media and printmaking. As the Best in Show winner, Henri is automatically invited as a featured artist in the 2017 art fair. “It has been a great week and I can’t even express how grateful I am for the recognition from the Old Town Triangle Association, “ stated Henri. 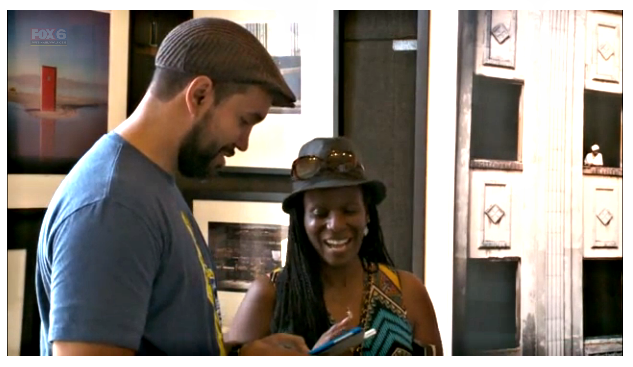 “As a Chicago-native, my inspiration begins at home and to be recognized is not only a honor for me, but validation of the talent that our city has to offer.” This past weekend, the Old Town Art Fair brought in over 250 nationally acclaimed artists and drew an estimated 30,000 art lovers to the fair. Recently, Henri served as a panelist at The Art Institute of Chicago, where he and two fellow artists, Krista Franklin and Darryl Holliday explored the relationship between images and text, and perceptions vs. reality in response to the new exhibit, Invisible Man: Gordon Parks and Ralph Ellison in Harlem. This was the first event of its kind hosted in the lobby of the Art Institute of Chicago Modern Wing. The event, titled The Gathering, had 100+ museum members and guests in attendance outside of the actual exhibition. I had the opportunity to talk a bit ON AIR with my man Malcolm Tubbs from Fox 25 in Oklahoma City about the Paseo Art Festival this past Memorial Day Weekend. Funny enough, before we met, I'd spotted him hosting the Oklahoma City Thunder game the previous night for Game 6 of the Western Conference Finals which I had the pleasure of attending. He totally threw me a couple jabs when he mentioned my Bulls, but its all good. Despite the bad jokes Malcolm was a cool dude and it was awesome chopping it up with him for a few. Click on the link and scroll down to the bottom left to see the full clip.